The Federation of Central American and Caribbean Exporters Chambers and Associations (FECAEXCA, for its acronym in Spanish) joined several Latin American governments in recognizing Mr. Juan Guaidó as current Interim President of Venezuela. Mr. Guaidó was appointed by the Venezuelan National Assembly to re-establish the rule of law and restore peace and development to the country. FECAEXCA expresses its solidarity to the Venezuelan people and to its business community and urge them to keep fighting to promote a dialogue to create social wellness in the country through restoring economic activities. It is also important that the country end the current crisis and immediately stop the violent attacks that led to the loss of several lives. The Central American institution backs this political transition as the way to re-establish a democratic environment in Venezuela and expects to see free elections soon and actions oriented in restoring economic activities in the country. 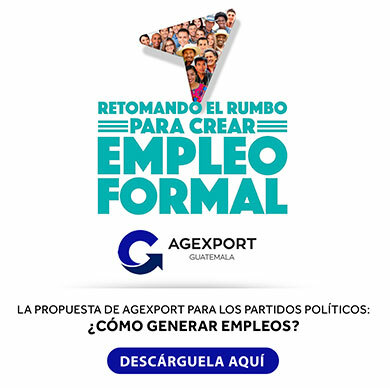 FECAEXCA is the Central America and Dominican Republic Federation of Exporters Chambers and Associations, which joins exporting firms of the region who are members of: AGEXPORT (Guatemala), COEXPORT (El Salvador), APEN (Nicaragua), FPX (Honduras), CADEXCO (Costa Rica), APEX (Panama) and ADOEXPO (Dominican Republic).